United Way President/CEO Dr. Kenneth S. Robinson (left) with Sean Lee, President of Porter-Leath at the groundbreaking. 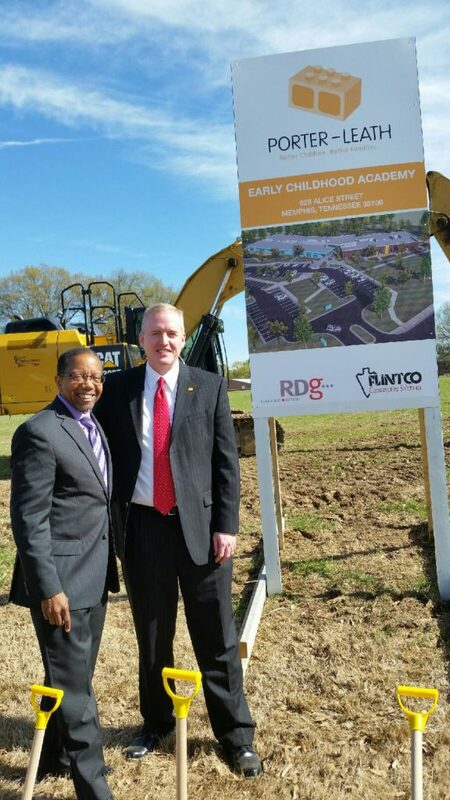 Congratulations to our United Way partner agency, Porter-Leath, on the groundbreaking for their new South Memphis Early Childhood Academy! We’re very proud of our partnership with We’re very proud of our partnership with Porter-Leath, and very grateful for Sean Lee’s (President, Porter-Leath) active involvement with our United Way Board of Directors.